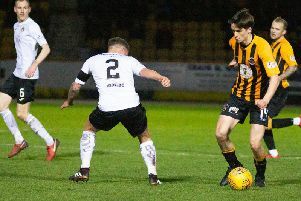 Stewart Wright netted a double as Tweedmouth Rangers won their first East of Scotland Conference A game of the season at the 21st time of asking. 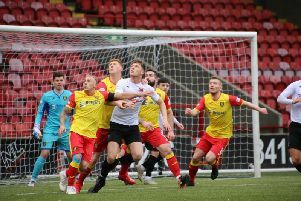 The Berwickshire side made the hour-plus long trip inland to Whitestone Park, where Peebles Rovers were their hosts at the weekend. The match was originally scheduled for December 15 but was postponed. Since then, Tweedmouth had welcome Rovers to Old Shielfield, where the visitors left with all three points in a 4-3 victory - which was the last match before the resignation of Tom Blaikie. Rangers led 3-1 that day, before succumbing to defeat. However, fortune favoured Tweedmouth this time around and a fantastic three points moved them to within nine of second-bottom Hawick Royal Albert and give all sorts of positives ahead of the new campaign.